Autumn officially started this week and the beautiful tomato-like rosehips are starting to ripen on the wild rose hedgerows which line the canal near my house. Every year I make grand plans to forage for hips – they are from the same family as apples and are packed full of vitamins A and C – but I never seem to get round to it. This year, I’m definitely going to make a point of collecting some – particularly after attending a great herbal first aid course at the Botanics in Edinburgh last month which inspired me to take more of an interest in the herbal properties of some of our plants. For that reason I’ve taken it upon myself to find out what can be done with rose hips and rose petals. As it turns out, there’s quite a lot…. This is a delicious-sounding recipe from Hugh Fernley at River Cottage. He recommends using your rose hip syrup to trickle over porridge or pancakes, or to sweeten plain yoghurt or vanilla ice cream. Perhaps you can add a drop or two to an evening gin and tonic, if you fancy. For use in dressings and for pickling. 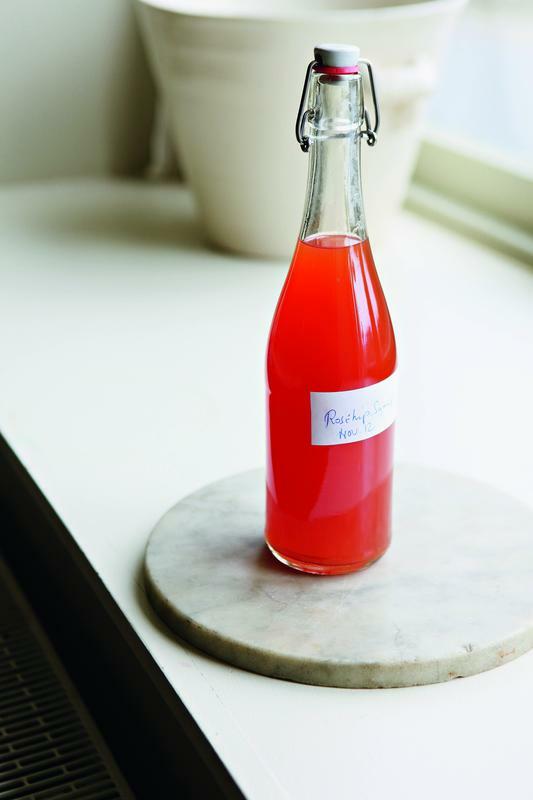 To make Rose Vinegar, pour 2 cups of hot vinegar into a sterile mason jar, filled with 2 cups fresh, bruised or 1 cup dried, crushed rose petals; and let steep (sealed) for a week, then strain. For a sharper, more citrusy vinegar ½ the petals and use an equal amount of hips. Combine 1/2 teaspoon rolled oats with 1 teaspoon dried rose petals and crush. Add 1 tablespoon almond or olive oil and allow to soften for 20 minutes. Apply the mixture to your face and neck, gently massaging into your skin and rinse with warm water. Wash with a mild soap. Pectin and the fruit acids in rose hip tea is really a gentle diuretic and laxative. It’s used to alleviate the symptoms of kidney problems, or to assist instances of mild constipation. To make the tea just pour a cup of boiling water above a single tbsp of crushed, dehydrated hips and let it steep. After straining the hips, you’ll be able to add honey and enjoy the tea. 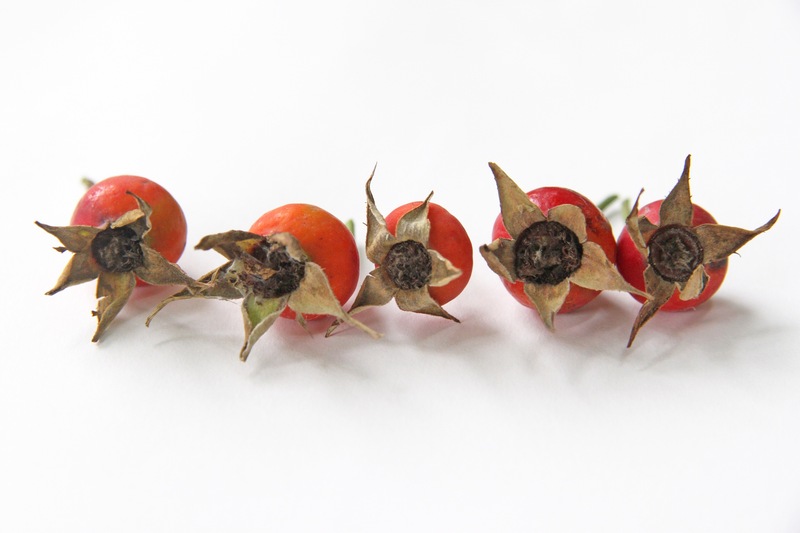 If you decide to harvest your own rose hips you can store them in the freezer, made into jelly, or dried. When storing them be sure to not use a metal container, the fruit acids and the metal do not mix well.